1) “Let your love grow” by Holly Furtick – As a single woman, I’ve learned to appreciate every day that God keeps me single, because I know it’s another day that God uses to work on my character and to change my wrong mindsets about love. That’s why I like (and need) to read stuff like this. 2) “Honor 101” by Steven Furtick – This one is by Holly Furtick’s husband, Steven Furtick, who’s also a pastor and author (I loved his first book, Sun Stand Still, which just came out recently, so watch out for it!). This post really resonated with me because I know that God has been causing me to remember the word HONOR (the verb, not the noun) this month. I know it is something that I don’t do enough for the people God has placed in my life…but I really should. 3) “The Best Leadership Advice“ a guest post by Lindsey Nobles over at The Catalyst Blog – Lindsey works for leadership guru Michael Hyatt, CEO of Thomas Nelson Publishers. I really look up to both of them, and I can only imagine how awesome it is to work in that company and learn from leaders like Hyatt on a daily basis. Lindsey gave me a peek into that life as she shared a precious and valuable insight that she learned from her leader. It’s another piece that really hit home for me. 4) “Plans“ another guest post by Lindsey Nobles over at The Stubborn Servant – Lindsey just knows how to put into words exactly what I feel and what I need to hear (or read, for that matter). This one is for everyone who gets frustrated when their plans don’t work out. 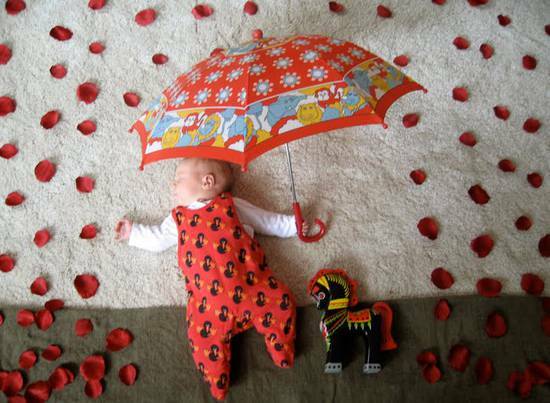 5) Mila’s Daydreams – I love this creative collection of baby photos. So adorable.